PwC US has announced that Kenneth P. Mortensen, Esq., has joined the firm as a managing director, specializing in data protection and privacy in the Risk Assurance practice. Based in Boston, he will lead the expansion of PwC’s Risk Assurance healthcare privacy offerings and support clients in addressing privacy, governance and compliance needs. PwC's privacy capabilities are a key component of its broader focus on cybersecurity risks. Prior to joining PwC, Mortensen was the Vice President, Assistant General Counsel & Chief Privacy Officer at CVS Caremark, responsible for overseeing information governance. Mortensen was also the first Chief Privacy Officer for Boston Scientific Corporation, responsible for implementing a global privacy and security program. 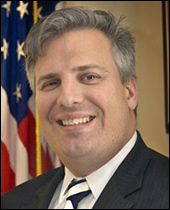 Prior to that, he served in the Administration of President George W. Bush as the Associate Deputy Attorney General for the U.S. Department of Justice, where he was the primary counsel and policy advisor to the Attorney General and Deputy Attorney General on privacy and civil liberties matters. “Industries that have a vast amount of data to manage – like the healthcare sector – are looking for insights and solutions to manage and protect their data. Our teams include not only technical expertise but professionals with deep industry backgrounds like Ken who have been in the field and have hands-on corporate experience. Ken is a critical piece of our expanding data protection and privacy practice and we welcome him to our team,” said Shawn Panson, PwC Risk Assurance Emerging Services leader. Mortensen is a member of the board of directors for the International Association of Privacy Professionals (IAPP). 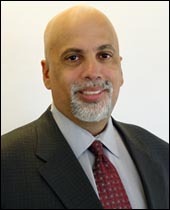 He also serves on the boards of Shared Assessments and the Health Information Trust Alliance (HITRUST) and is admitted to the bars of Pennsylvania and New Jersey. Mortensen received his Juris Doctorate from Villanova University School of Law and his MBA from Villanova University. He also has a Bachelor’s degree in Electrical Engineering from Drexel University and a Certificate in Foreign Intelligence Law from the Judge Advocate General's School of Law. PwC understands that significant risk is rarely confined to discrete areas within an organization. Rather, most significant risks have a wide-ranging impact across the organization. As a result, PwC's Risk Assurance practice has developed a holistic approach to risk that protects business, facilitates strategic decision making and enhances efficiency. This approach is complemented by the extensive risk and controls technical knowledge and sector-specific experience of its Risk Assurance professionals. The end result is a risk solution tailored to meet the unique needs of clients.